TME’s offer has been enriched by professional inspection cameras from AXIOMET: AX-B2120ST/17 (probe head diameter: 17mm), and AX-B2135CW and AX-B2135ST (probe head diameter: 23mm). Both series feature a probe mounted on a reel for easy winding and unwinding. A scale with 1 meter steps is put on the probe, enabling easy control over the depth of insertion. The probe head with the diameter of 17mm (the AX-B2120ST/17 model) and angle of view of 60o is equipped with 6 bright diodes with adjustable brightness. 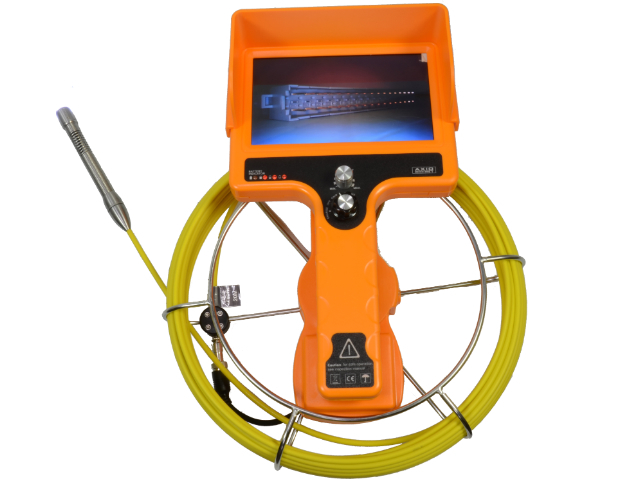 This small probe diameter allows carrying out inspections in hard to reach spots, such as ventilation openings, cable ducts, or pipes with very small diameters. The length of the probe in this model is 20 meters. It comes in a handy case. The AX-B2135CW and AX-B2135ST models feature probe heads with the diameter of 23mm and angle of view of 120o The head is equipped with 12 diodes with adjustable brightness. The length of the probe in these models is 35 meters. The AX-B2135ST model comes in a case, whereas the AX-B2135CW model is mounted on a stand.